Have your child develop a love for music and build a base for future learning through the power of music. 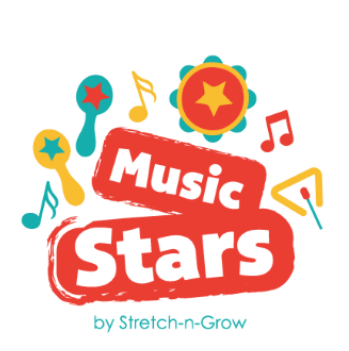 Through Music Stars, our Stars will learn how to play a variety of instruments including the tambourines, maracas, rhythm sticks, and triangle. Our fun and engaging activities are designed to help stretch their imaginations as they learn about music style, tone, melody, and harmony. MUSIC STARS IS AVAILABLE FOR TODDLERS + PRESCHOOLERS. ASK ABOUT OUR INFANT PROGRAM!